Georgia/St. 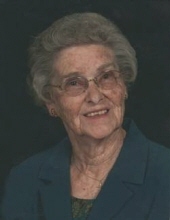 Albans – Katherine S. Way, 96, passed away Friday March 22, 2019, at the Northwestern Medical Center after a long, happy and productive life. Mom was born in Georgia on January 7, 1923 during a winter snowstorm and accompanied by her twin sister. She was the daughter of the late Russell and Winnie (Newton) Sunderland. The youngest of 7 children, she grew up on the family farm where she learned her incredible work ethic. Katherine was a 1940 graduate of BFA St. Albans where she was a star basketball player and a co-captain of the Vermont State Girls’ basketball team. If born in a different time, Mom would surely have been recruited by a college women’s basketball team. She always said players should practice their foul shots more. She was employed as credit manager at the Sears Store and also spent a number of years at the St. Albans Co-Op Creamery. She lived through the depression and World War II. Mom married Dad, a veteran just returned from the war, in 1945. They had 3 children and worked hard to better their lives for which we are eternally grateful. Mom has been a member of the Georgia Plain Baptist Church since 1935, a former member of Chittenden Chapter # 59, O.E. S. and was an avid bowler and Red Sox fan. She was guided by her faith, family and church. Mom was our great “communicator”, the glue that held us together. We will miss her deeply. Survivors include her two daughters, Diana Sweeney (Michael) of Georgia and Deborah Balon (Chester) of Kittery, Maine and her sister-in-law, Marjorie Shepard. She also leaves behind her grandchildren, Heather Digby (John), Sean Balon (Robyn), Nicole Sweeney, Cheryl Couture (Gerry), Emmy Dove (Simon), and Geoffrey Sweeney (Jessica). Also surviving are her great-grandchildren, Collin and Ian Digby, Luke and Kylee Couture, Oliver Dove, Jenna, Benjamin and Olivia Sweeney and Abigail Balon. She is also survived by many wonderful and caring nieces and nephews who will miss her cards, letters and telephone calls. In addition to her parents, Katherine was pre-deceased by her husband, Marvin C. Way on December 12, 2003, their son, David on June 22, 1984; her siblings and their spouses, Gladys Norris (Don), Ronald Sunderland (Charlotte), Russell Sunderland, Dorothy Pattee (George), Joyce Laplant (Don) and her twin sister, Irene Pattee (James), as well as her brother-in-law, Richard Shepard. Relatives and friends are invited to attend calling hours Friday, March 29, from 4-7 PM at the Heald Funeral Home, 87 South Main Street, St. Albans. A funeral service will be held on Saturday, March 30, at 2PM at the Georgia Plain Baptist Church, 1493 Stone Bridge Road, Georgia, with Pastor Tyler Smith officiating. Prayers of committal will be at a later date in the Georgia Plain Cemetery. In lieu of flowers, please consider a donation to the Georgia Plain Baptist Church, 1493 Stone Bridge Road, Milton, Vermont 05468 or Franklin County Home Health Agency, 3 Home Health Circle, St. Albans, Vermont 05478. To send Katherine’s family a message of condolence or share a memory, kindly go to her online guestbook at www.healdfuneralhome.com . To plant a tree in memory of Katherine Sunderland Way, please visit our Tribute Store. "Email Address" would like to share the life celebration of Katherine Sunderland Way. Click on the "link" to go to share a favorite memory or leave a condolence message for the family.